This article first appeared in City & Country, The Edge Malaysia Weekly, on November 5, 2018 - November 11, 2018. Real estate in the vast and scenic 1,200-acre Horizon Hills township in Iskandar Malaysia, Johor, enjoys the luxury of hills, fairways, waterways, forest reserves and parks. Regarded as a premium resort-style township, Horizon Hills is in its 11th year of development and it is estimated that it will take another seven to eight years to complete the remaining 40%. The township, which has a gross development value (GDV) of RM7.2 billion, also boasts its own 200-acre 18-hole par 72 designer golf course and a 150,000 sq ft clubhouse. 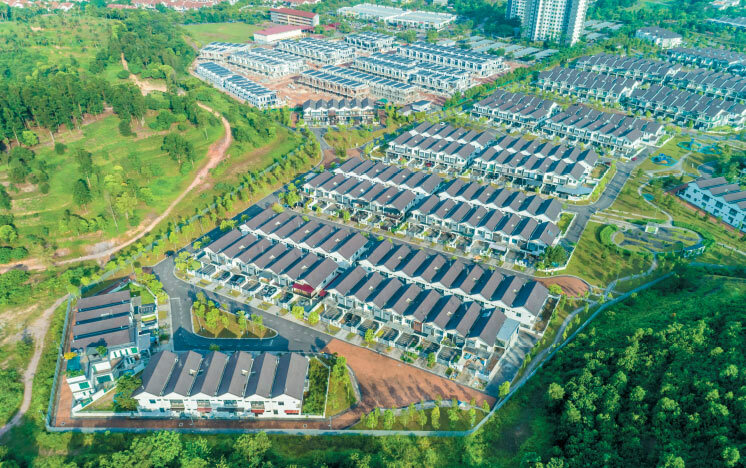 The developer of the low-density master-planned township, comprising 10 residential precincts with a total of 6,000 homes, is Horizon Hills Development Sdn Bhd, a 50:50 joint-venture company set up by Gamuda Bhd and UEM Sunrise Bhd. 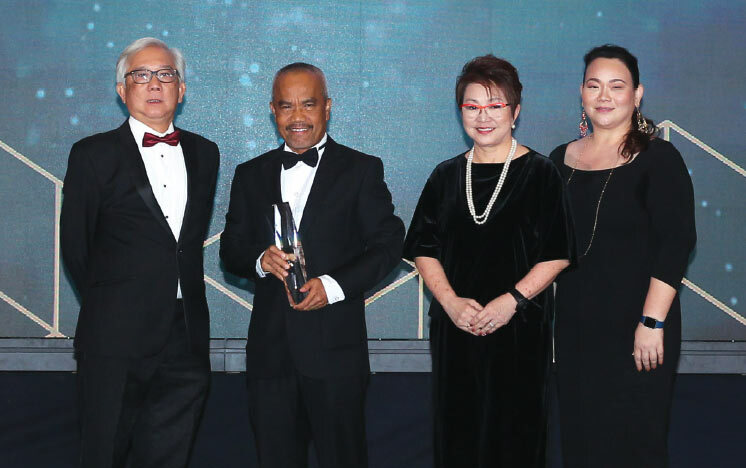 This year, Horizon Hills picked up The Edge Malaysia-PEPS Value Creation Excellence Award for Phase 2D3 of The Greens precinct. The township had won the award in 2012, 2014 and last year as well. 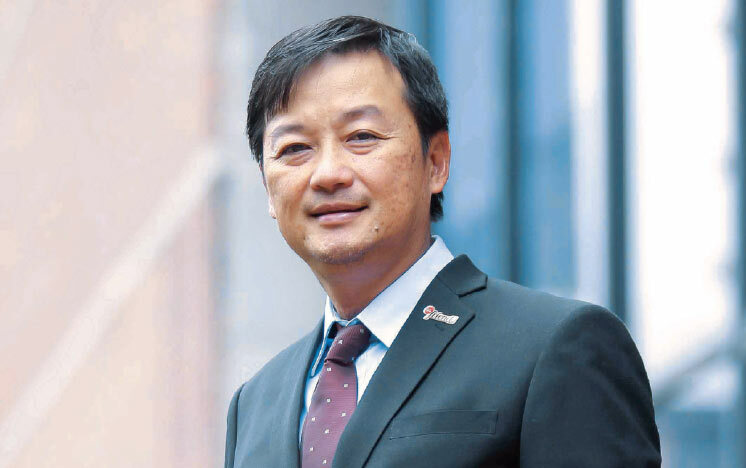 “When we launched the development in 2007, we started off with a very good brand and master plan, which, I believe, contributed to the success of the township and, in turn, Phase 2D3,” Horizon Hills general manager Jim Woon tells City & Country. Launched in January 2013, the 14.3-acre Phase 2D3 comprises 123 two-storey link homes (24ft by 75ft). Standard intermediate units have built-ups of 2,573 sq ft onwards and are priced from RM698,800. The prices of homes in Phase 2D3 have appreciated 35% on average over five years or 16% per annum. A standard intermediate unit in Phase 2D3 was transacted at RM835,000 on the secondary market last year while a corner unit, which was priced at RM1.03 million at launch, with a land area of 4,387 sq ft and built-up of 2,791 sq ft was transacted at RM1.58 million in 2015. Completed in 2015, Phase 2D3 has a GDV of RM98.1 million and is fully sold. Some 60% of the buyers are local while the rest are expatriates of various nationalities from Singapore, Indonesia, New Zealand, South Korea, China, the UK and India. Woon says Phase 2D3 is popular among those from the surrounding areas who prefer the community living and green environment offered by Horizon Hills. “The link houses are popular among upgraders and young couples. Some 55% of the total units in Phase 2D3 are occupied by the owners while 20% are tenanted. Rents, meanwhile, range from RM1,800 for unfurnished units to RM2,500 for furnished. He notes that the maintenance collection rate at Phase 2D3 is at a healthy 98%. Units in Phase 2D3 priced below RM1 million also come with a social or clubhouse membership while those priced above RM1 million come with a golf membership. “The membership can only be detached from the property after 10 years, which means the owner can keep the membership if he or she decides to sell the property after 10 years or vice versa,” Woon explains. 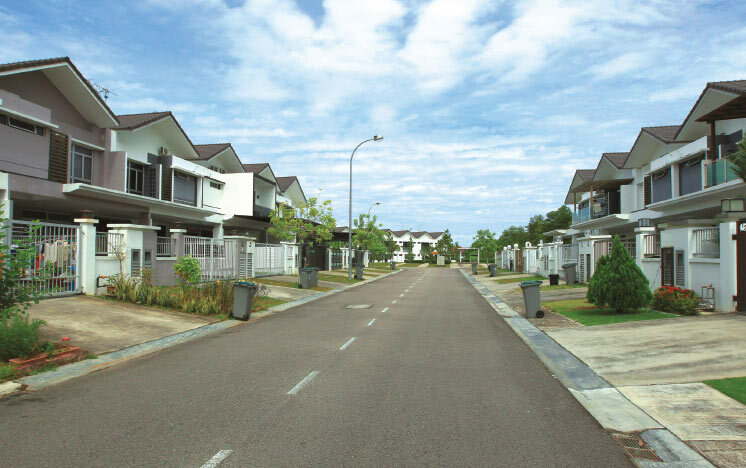 For Gamuda, the value of properties is very much dependent on post-vacant possession and the overall maintenance of the township. “I think selling is easy but it is the after-sales service that Gamuda is emphasising. “We have set up a property service department to look after the maintenance of the township, such as road cleaning, pest control and tree planting, as part of our efforts to enhance the township,” says Woon. While the upkeep of some of the earlier precincts has been surrendered to the local council, the developer continues to look after the common areas in the township. “It also helps that we have a close rapport with the local authorities,” Woon points out. Sitting on undulating terrain, Horizon Hills’ Phase 2D3 is adjacent to SIREH Park, a 400-acre regional open space that UEM Sunrise is working on preserving and making suitable for recreational activities, such as jogging, trekking, mountain biking, boating, kayaking and canoeing. Phase 2D3 has an average density of five units per acre and was conceptualised based on the natural contours of the site. Some houses come with a longer driveway that can accommodate up to three cars. “Depending on the contour of the land, some houses have a longer driveway that extends into the common area,” Woon says. Homes in Phase 2D3 are also secured by three levels of security, starting from the entrance guardhouse to CCTV monitoring and security patrolling. For added safety, the houses come installed with panic buttons in the kitchen and master bedroom. “This is for emergency purposes. For example, when a resident, particularly an elderly person, suffers a fall, the maid can contact the guardhouse using the panic button,” Woon explains. The Greens precinct is also designed with the Crime Prevention Through Environmental Design approach that ensures sufficient street and back-lane lighting, clear boundaries between public and private areas, a natural buffer between pedestrian pathways and driveways to segregate persons on foot and moving vehicles, as well as cul-de-sacs and well-coordinated streetscapes to reduce crime. On the whole, Horizon Hills’ master plan was based on the development principles that Gamuda incorporates in all its townships with accessibility and connectivity, sustainable designs, lifestyle facilities and amenities, and safety and security in mind. “We emphasise three core values, starting with listening to the land and building communities to driving innovation, which we will continue to apply to future developments,” says Woon. In terms of sustainable design, only about 30% of Horizon Hills’ natural topography was reshaped, so homes are built on naturally undulating terrain, according them views of the golf course. “We have tried to maintain and preserve the natural fauna and waterways,” Woon says. Close to 45% of the township has been preserved as green lungs and water features, some 150 acres of which are gardens and parks. Residents also get to enjoy a 30km cycling path. In terms of access, the township will have five entrances, two of which are open, and is conveniently linked to the Coastal Highway, Malaysia-Singapore Second Link, Perling Expressway, Pasir Gudang Highway, Skudai Highway and North-South Expressway. From Horizon Hills, it is a 15-minute drive to the Tuas Checkpoint, Johor Baru Causeway and Johor Baru city centre; 20 minutes to the Senai International Airport; and 40 to 50 minutes to the Changi International Airport via Tuas or the JB Causeway. The township’s strategic location puts it within a 5km radius of world-class facilities, such as Educity (home to Newcastle University Medicine Malaysia, University of Reading, University of Southampton Malaysia Campus, the Management Development Institute of Singapore, Multimedia University, Marlborough College, Netherlands Maritime Institute of Technology, Raffles University Iskandar, Raffles American School and Johan Cruyff Institute); shopping malls such as Johor Premium Outlets, Komtar JBCC, Johor Baru City Square and AEON Shopping Centre, and hypermarkets; theme parks like the Puteri Harbour Family Theme Park, LEGOLAND Malaysia Resort and Little Big Club; and healthcare at Columbia Asia, Gleneagles Medini and KPJ Johor Specialist Hospital. Horizon Hills is also close to Motorsports City, Nusajaya Tech Park, Pinewood Iskandar Malaysia Studio, Kota Iskandar and Puteri Harbour. Horizon Hills is still sought after despite the current challenging market environment. “Supply is high and competition is intense in Johor but Gamuda is doing all right. People don’t mind paying a premium for a property in Horizon Hills,” says Woon. “The demand for landed residential property in south Johor, especially in Iskandar Malaysia, is encouraging. Generally, the market here still prefers landed to high-rise residential developments. He notes that most of the foreign buyers are working in Johor or Singapore as banks have tightened their lending regulation and require them to have a working permit.